Q. I noticed my Office 365 SharePoint always creates a OneNote notebook for a new site. What am I supposed to use that for? A. 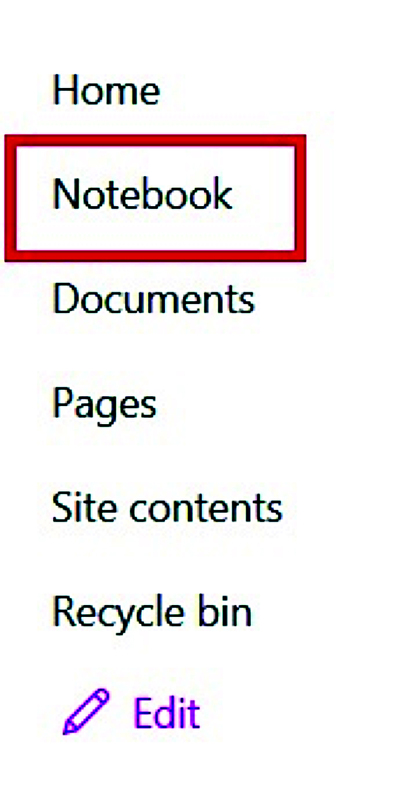 Starting with the newest versions of SharePoint (2013/2016), you will see a Notebook entry in the Quick Launch menu. As you’ve correctly determined, that’s a OneNote notebook for your site. You may use it for any purpose you choose. I like to use it for a “How to use this site” wiki-type document. You can also use it as a log of changes to the site or as a project document for the construction of the site. If you do not intend to use it, you can click Edit at the bottom of the Quick Launch and remove it. If you decide to later use it, you’ll find it in the Site Assets Library with any content that was added before it was removed from the Quick Launch. Q. What’s the difference between the Name field and the Title field for a document in the document library? A. First, a story: In a galaxy far, far away, many, many years ago, file names could only be what was referred to as “8.3” (eight characters, followed by a period, then the file extension), so file.doc then became the extended file name. And, boy, did we get creative! We used every bit of the 255-character capacity to tell us everything we wanted to know about that file before we opened it. With the addition of metatags in document properties and the use of custom columns to store them in SharePoint, the 90-foot file name became obsolete. 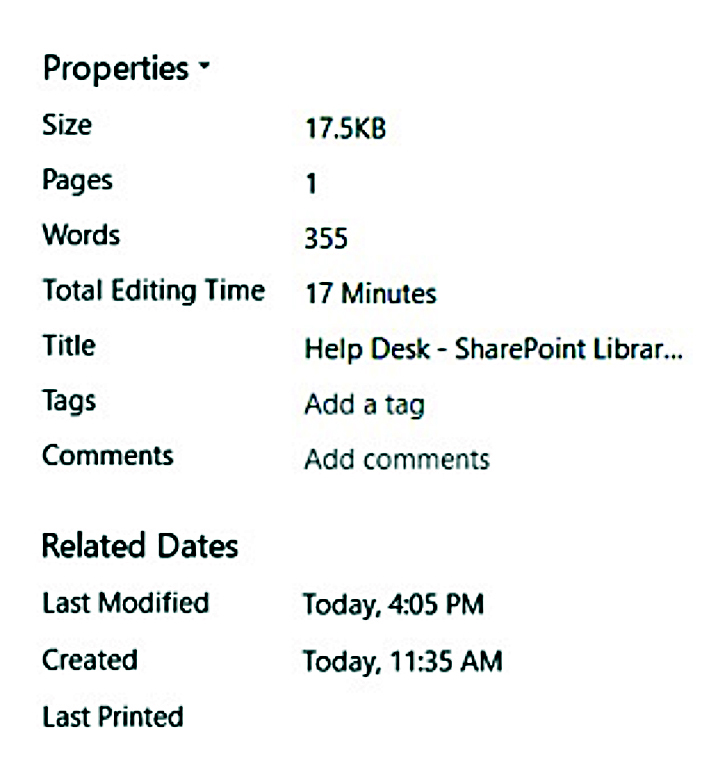 And SharePoint also offered us one more element from the original document properties in Office, title. So, the file name of the document might be balsheet2016.xlsx, but the title of the document is Balance Sheet of XYZ, Inc., dated 12-31-2016. Both pieces of information are accessible, usable and searchable. We don’t need columns to divvy up our documents because we have folders. And we don’t need mile-long file names, because we have titles. Progress is good (most of the time). Have you accidentally placed contact phone numbers in different places in your notebook?